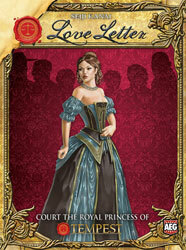 Love Letter puts its heart on its sleeve and gets reviewed by the experts over at Play Board Games. The princess has locked herself in the palace to win her hand you must get your letter to her first. You must get your letter delivered while being sure the other players do not.